#FreshCreations & Y Sort It Summer Camp! Ending the Summer Festival with a Snap, Crackle & Pop! 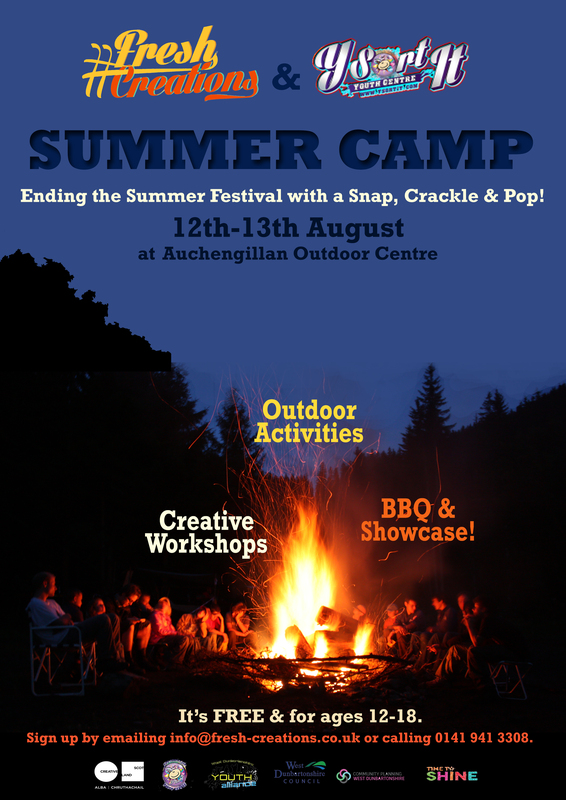 12th-13th August at Auchengillan Outdoor Centre. It’s free and for ages 12-18. Sign up by emailing info@fresh-creations.co.uk or call 0141 941 3398.